Crafting their latest handset, the Mate 20 Pro must have been a tough job for the folks at Huawei. After the success of the P20 Pro, the hard question becomes, ‘where to from here?’. Improving on an already excellent design is a big ask but doing so with innovative features that punters will give a damn about gets trickier with each passing year. Equally hard is coming up with a fresh yet usable design in a market where samey-samey equals the kiss of death. 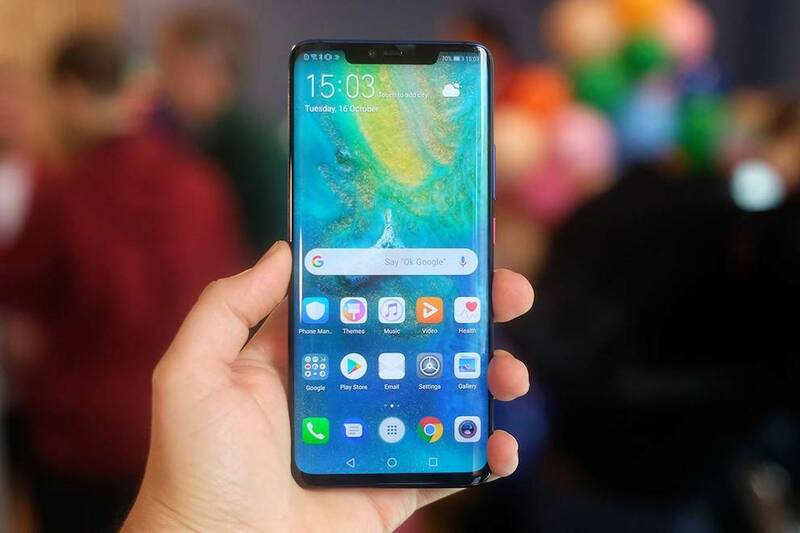 Yet only a week after its launch, many are saying that the Huawei Mate 20 Pro could be one of the best Android smartphones of 2018. Huawei is one of the brands that set trends other phone makers follow. With the Mate 20 Pro, they’re still doing this. Clever design flourishes abound. Its chassis feels almost organic thanks to curved edges and a body that consists of a glass front and back between an alloy band. Making the most of its screen also means there are notches in its display. 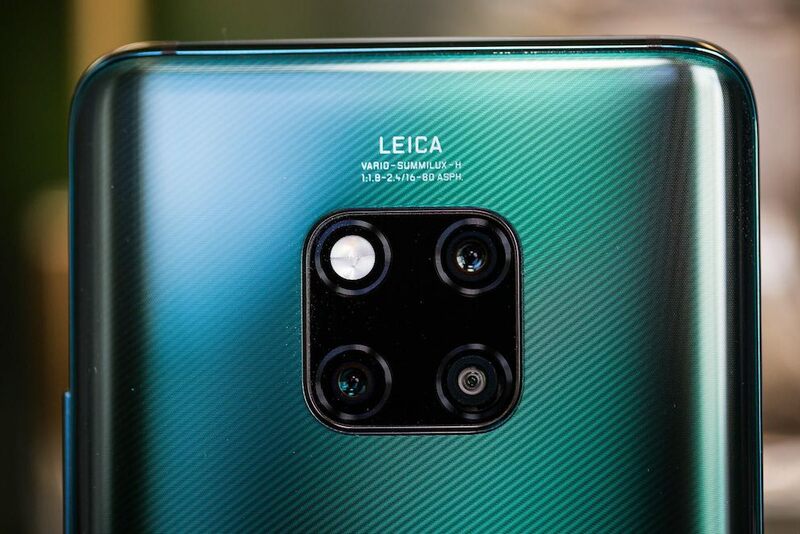 Where Huawei has used both vertical and horizontal camera arrangements in the past, this time camera lenses (there’s three of them) sit in a 2-by-2 square with the flash working to make up the fourth element. It’s a simple design trick that helps the Mate 20 stand out in a crowded market. My review unit was finished in a sapphire green, which depending on how you position the phone varies from a deep dark green to aquamarine. It’s a visually striking effect. Huawei has also added a pattern on the rear or the Mate 20 Pro. They say it helps to reduce fingerprints and improve grip. It’s a subtle tweak that I didn’t pay a lot of attention to as I plunked the Mate 20 Pro straight into its bundled silicon case – it is a handset that won’t bounce if dropped onto a hard surface. Either way, it is a slick design. The Mate 20 also wins points with its display. It sports a large 6.4” curved OLED screen, with a 3,120 x 1,440 resolution at a 19.5:9 aspect ratio. 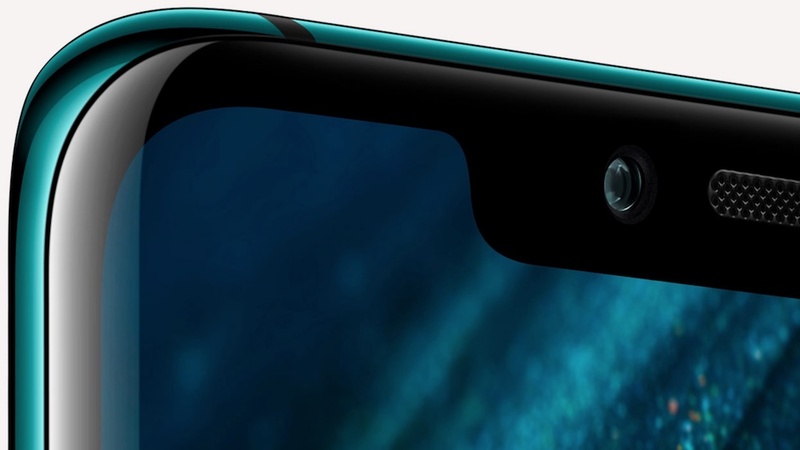 The notch at the top centre of the screen is home to a 3D depth-sensing array for face recognition unlock duties. On-screen colours are vivid and look crisp. One of the most significant selling points of the Mate 20 Pro revolves around something users can’t see. While most manufacturers tuck a fingerprint sensor away on the back of their devices, the Mate 20 Pro’s sensor is hidden away under its display. 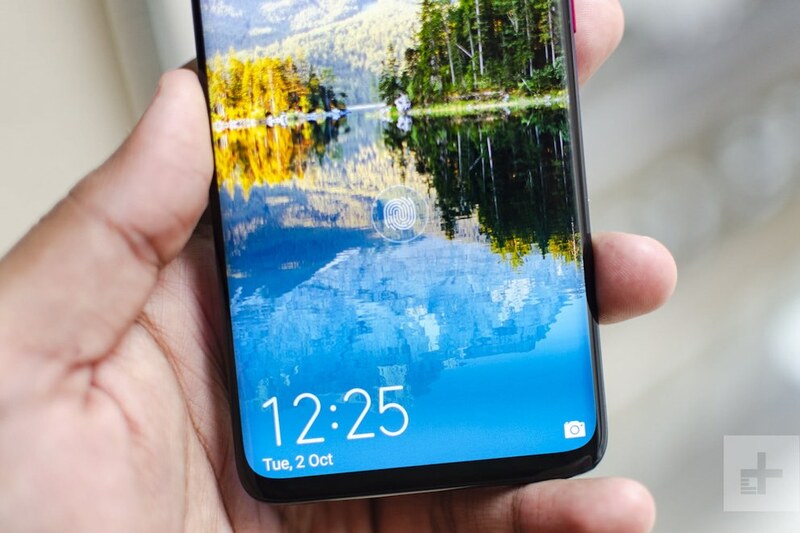 In use, it worked fine, although it was usually beaten at unlocking the Mate 20 Pro by the uncannily accurate and blisteringly fast face recognition unlock. Not content with cramming state of the art unlocking tech into the device, Huawei also stuffed 15W fast wireless charging support in. They say this is a whopping 200 per cent faster than wireless charging on an iPhone X. Then there’s its other cool trick – the Mate 20 Pro can act as a wireless charger for other wireless charging devices. If that wasn’t enough, it is also able to survive a dunking as it is rated at IP68 water-resistance. 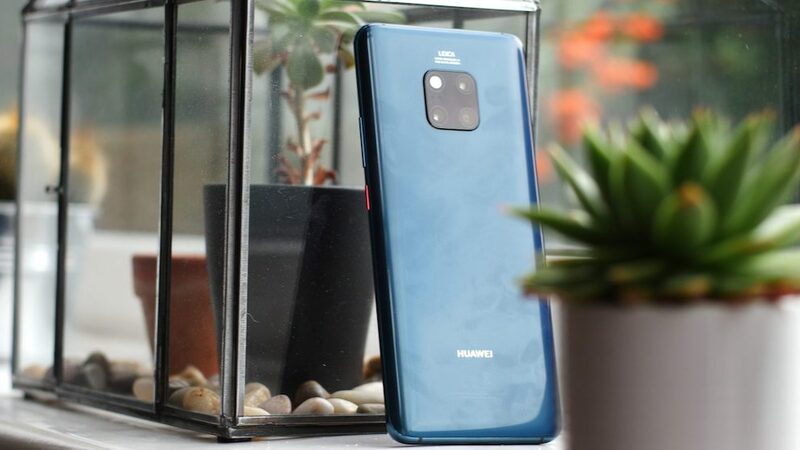 The Mate 20 range is the first to feature the Huawei’s in-house developed Kirin 980 CPU. It’s an eight-core beast and is the first built using a 7-nanometer manufacturing process. This means more transistors can be packed onto the silicon wafer to boost performance and it is also more energy efficient. Balancing battery life with performance is helped by the fact that the Kirin 980 has four energy efficient but low power cores that do computationally simple tasks. Then there are two mid-range cores for more demanding tasks and two more high-performance cores to chew through apps and games that consume more power. By juggling cores depending on the task, performance gets a 20 per cent boost while power efficiency is improved by a healthy 40 percent over the previous Huawei CPU, the Kirin 970. Huawei has also baked two neural processing units into the Kirin 980. Their previous CPU had one, but with two Huawei says the Mate 20 Pro can do a lot more and supports real-time image processing and object recognition in videos as well as photos. The Mate 20 Pro I reviewed came with 6GB of RAM which made for silky smooth multi-tasking. There’s also 128GB of storage which is plenty for apps and media collections. That can be boosted by up to 256GB, but there is a gotcha. You’ll need to use a proprietary Huawei developed nano-memory card. Why Huawei felt the need to establish yet another memory card standard no one needs is baffling. The phone comes equipped with a whopping 4,200mAh battery. When paired with the Kirin 980, two-day battery life becomes the norm, even with moderate to heavy use. The vendor’s SuperCharge tech is also present, and it allows the device to go from zero to 70 percent charge in just 30 minutes. Throwing the Mate 20 on to charge for even 10 minutes adds a startling amount of juice, which is handy before heading out the door. 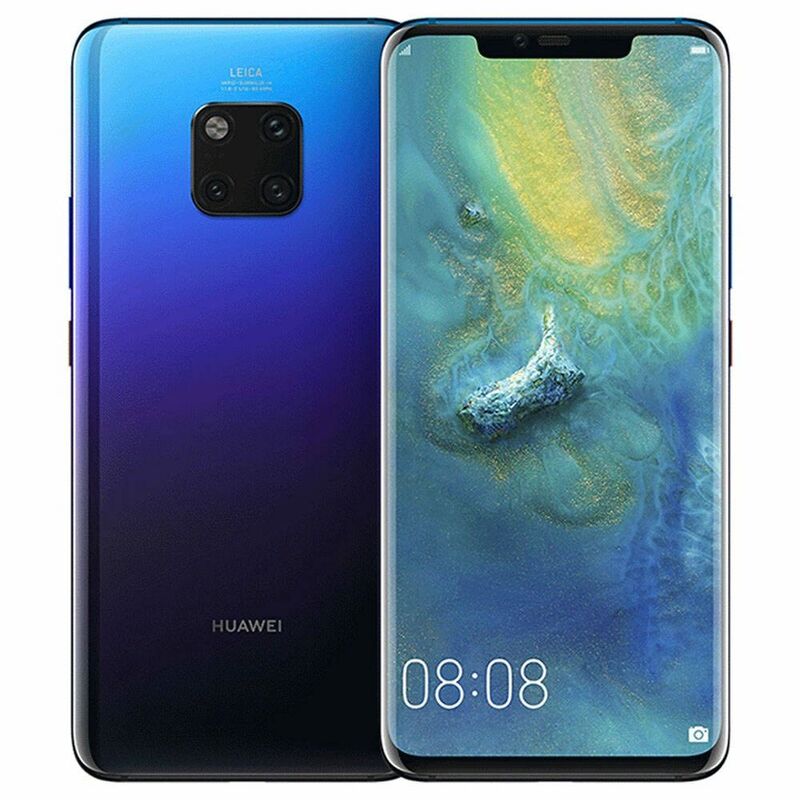 The Mate 20 range uses Huawei’s EMUI Android skin. It has improved massively over previous iterations, but it feels very iOS-like. It is thankfully able to be themed, but stock Android would have been preferable. Sitting underneath EMUI is Android 9.0 Pie, although you really don’t get to see a lot of it. That said, navigation has been streamlined, and optional gesture controls added. All told the UI runs super smoothly and everything feels seamless. As with the P20 Pro, the Mate 20 also supports a desktop mode. When plugged into a monitor or TV using a USB C to HDMI cable (it can also do this wirelessly), and paired with a Bluetooth keyboard and mouse, the Mate 20 Pro becomes a productivity powerhouse that’s easily the equal of a notebook PC weighing 10x as much. For hot desk workers, this could be a real boon. Gamers can also rejoice as the device also packs GPU Turbo 2.0 mode, which boosts gaming graphics performance while offering even more power efficiency. Being a Huawei phone, everyone is curious to see if the Mate 20 Pro’s shooters are up to the job of carrying on the company’s legacy. Testing so far has borne this out, and leaks from the highly regarded camera benchmarking site, DXOMark, say the phone scored 116, placing it close to the top of the smartphone shooter pack. There are three Leica lenses on the rear. These consist of a wide-angle lens, an ultra-wide-angle lens, plus a telephoto lens. Under these lenses are a range of image sensors. These comprise of a 20-megapixel sensor behind the ultra-wide-angle lens, a 40-megapixel sensor under the wide-angle lens, an 8-megapixel sensor on the 3x telephoto lens (with optical image stabilisation). The mono/colour sensor combo is no longer as Huawei say there is no need as the colour sensors have improved so dramatically. As with the P20 Pro, AI plays a central role in the Mate 20 Pro’s camera. AI can control even more aspects of the camera, making almost impossible to shoot a bad photo/video, can automatically swap to the ultra-wide-angle lens when it thinks it’s needed and can recognise objects to keep them in focus. Several cool effects are baked in, including the ability to shoot people in colour and their surroundings in black and white. Swinging the device around reveals a 24-megapixel selfie shooter and a 3D depth-sensing setup like that used by the iPhone XS. This consists of an infrared camera, dot projector, and proximity sensors. In use, it worked both quickly and accurately. It wasn’t flummoxed by glasses or a hat. Picking it up and pointing it in the rough vicinity of my mug saw it consistently unlocked before I could use the under-screen finger sensor. Huawei has squeezed an improbable amount of functionality into a super tasty design. The Mate 20 Pro ticks all the right boxes when it comes to power, energy efficiency, design, usability and camera. For this reason, it is one of the few phones I’ve scored a 10 out 10. If you’re in the market for a powerhouse phone with one of the best cameras around, the Mate 20 Pro is worthy of your consideration.